MG Motors, a British automotive brand, is debuting its new MG electric supercar concept -- MG E-motion -- at the 17th Shanghai International Auto Show, China. The brand is seeing a significant revival thanks to recent scientific and technical innovation, delivering a stunning new concept model that combines high standards in design and performance that marks an exciting new era for the manufacturer, it said. Shanghai International Auto Show will run from April 21 to 28 at the National Exhibition and Convention Center, Shanghai. 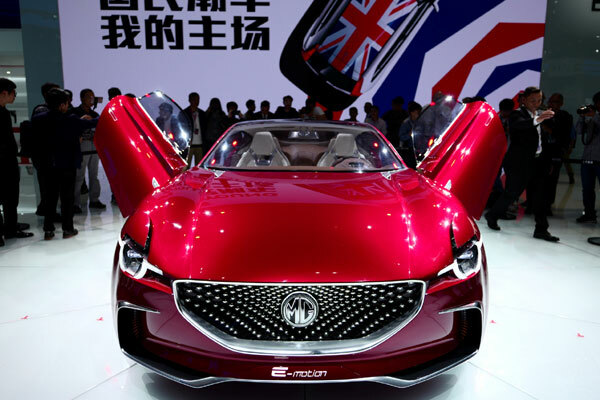 The MG E-motion concept embodies company’s brand-new exterior design essence. The concept model has dynamic and elegant body proportions, with the positioning of the A column making the front of the model visually more slender, said a statement from the company. Also, the model’s front grille adopts an LED starlight matrix design, while the headlamps inherit MG’s particular design elements inspired by the London Eye, it said. Developed with the younger generation in mind, the model is equipped with a series of what the manufacturer calls “Black Technology”. Based on MG’s parent company, SAIC’s new pure electric modular architecture platform, MG E-motion concept is capable of 0-100KM/h in under 4 seconds and has a range of over 500km, it added. Equipped with an intelligent interconnection system, the MG E-motion concept is also able to comprehensively satisfy passenger connectivity demands while on the move, said a statement. “The new MG E-motion concept and previously unveiled MG ZS are designed not only to satisfy millennials’ needs, but also to demonstrate new innovative technology of MG Motors,” he said.